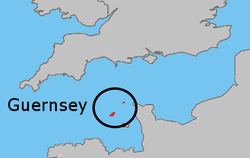 1 Rank based on population density of the Channel Islands including Jersey. 3 The States of Guernsey issue their own sterling coins and banknotes (see Guernsey pound). 1 Geographically part of Asia, but having socio-political connections with Europe. Àtunṣe ojúewé yi gbẹ̀yìn wáyé ni ọjọ́ 9 Oṣù Kẹta 2013, ni ago 00:21.